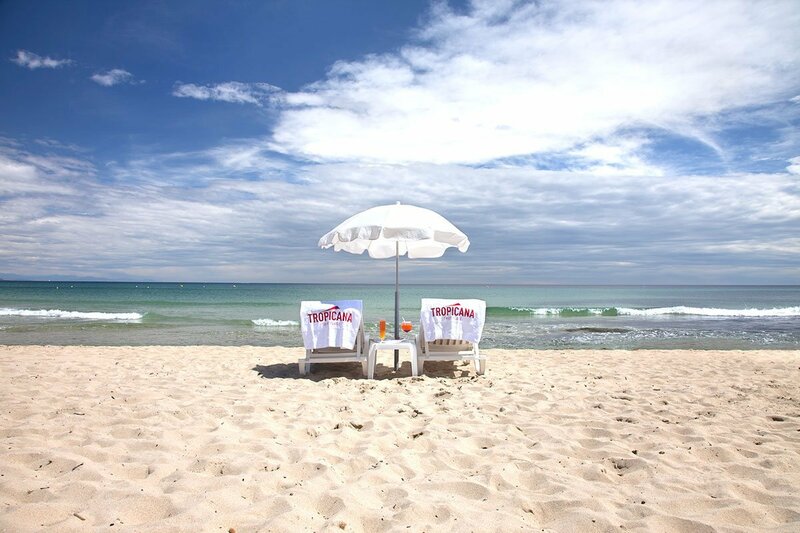 Take a moment to relax, your eyes fixed on the blue horizon, the sand beneath your feet. 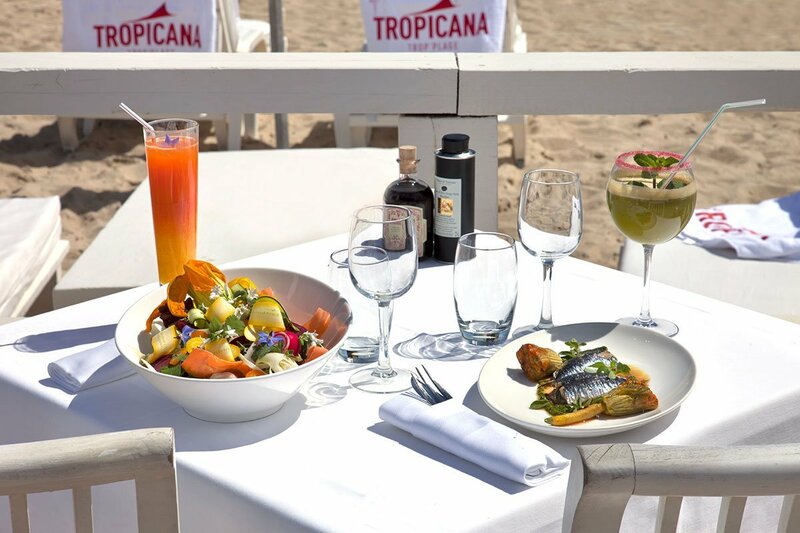 Tropicana Plage de Ramatuelle is a beach-restaurant located in an idyllic corner of Bonne Terrasse, Pampelonne beach. 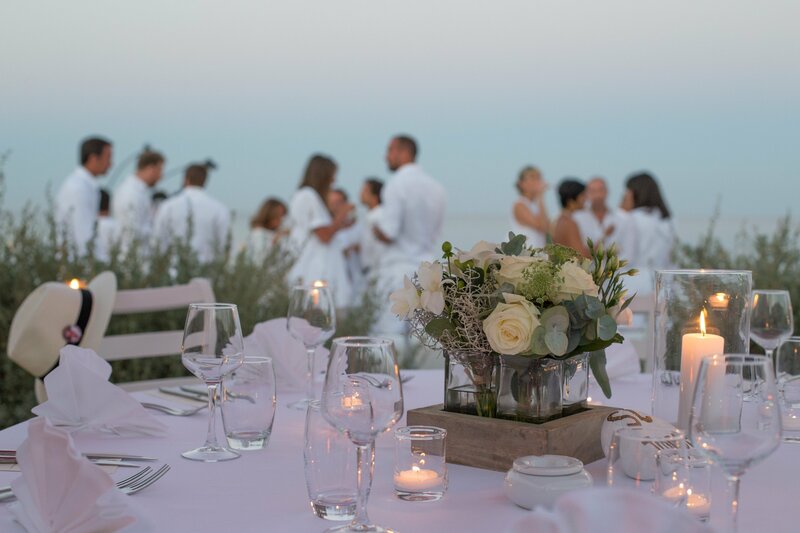 where you will receive a stylish welcome… pure and simple. 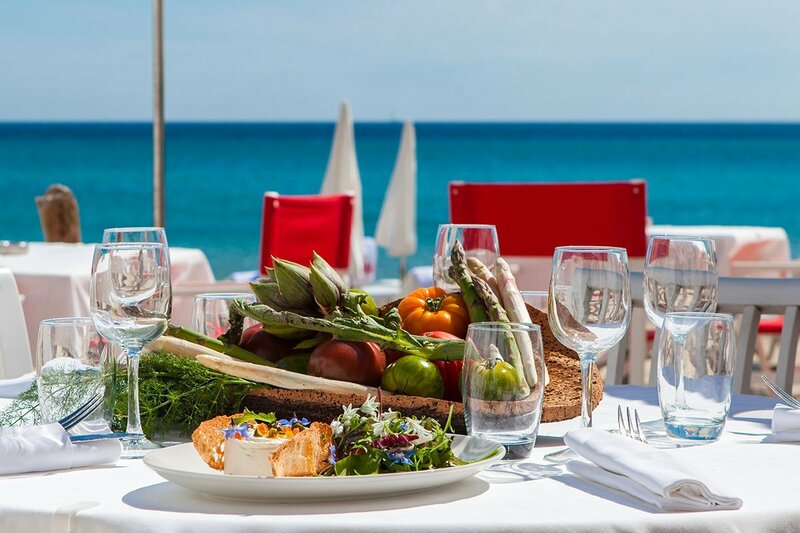 Tropicana Plage de Ramatuelle restaurant reflects the stylish simplicity of the regional flavours. 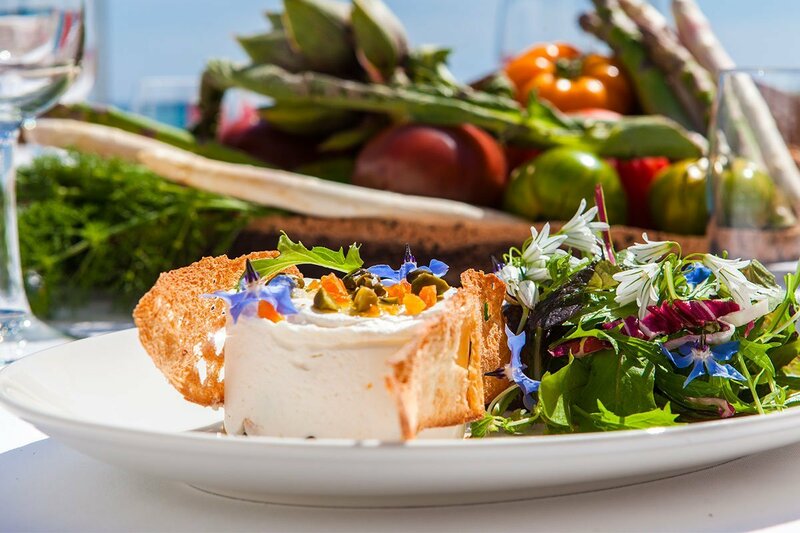 Chef Eric Santalucia, who trained at the Alain Ducasse Cooking School, brings together the best regional produces, carefully selected from local producers. 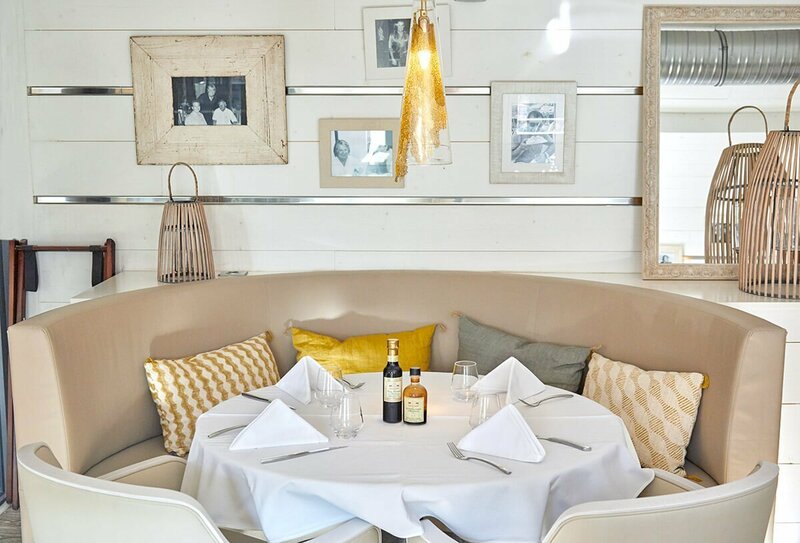 We offer generous authentic Provençale cuisine, rounding off each meal off with a delicious regional dessert, LA.TARTE.TROPÉZIENNE of course! 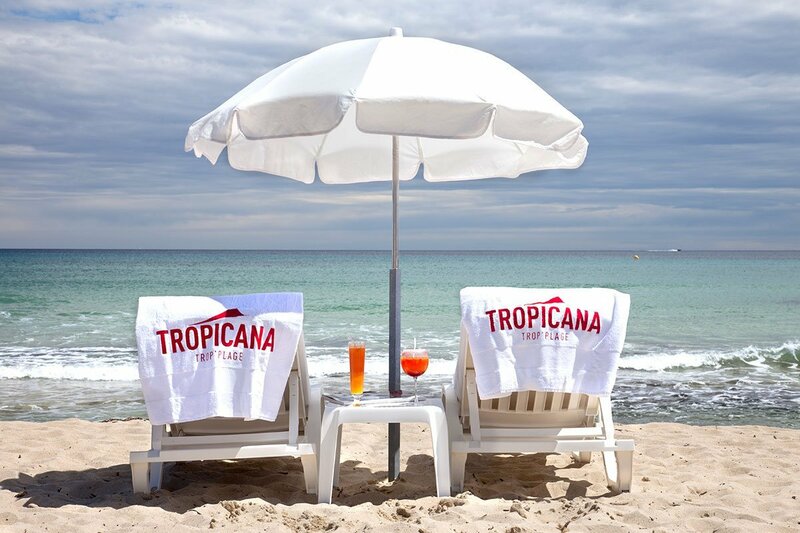 Tropicana Plage de Ramatuelle invites you to take a moment to relax. 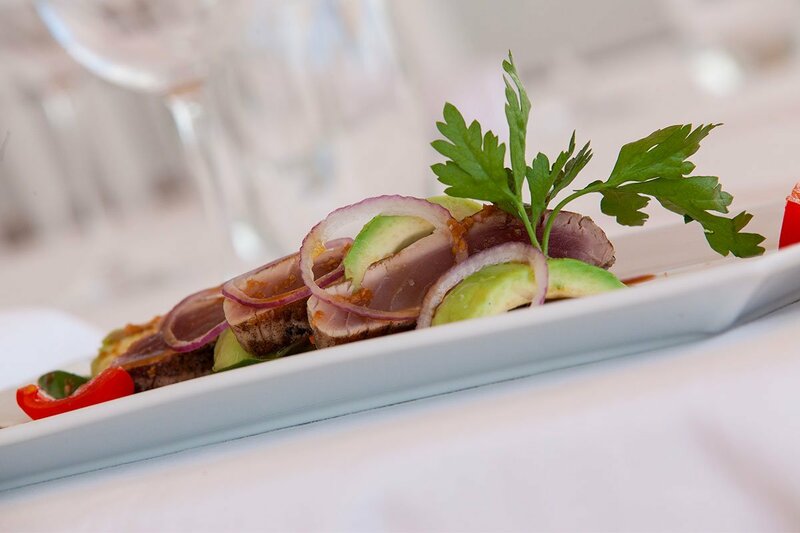 All you have to do is let us take care of you. 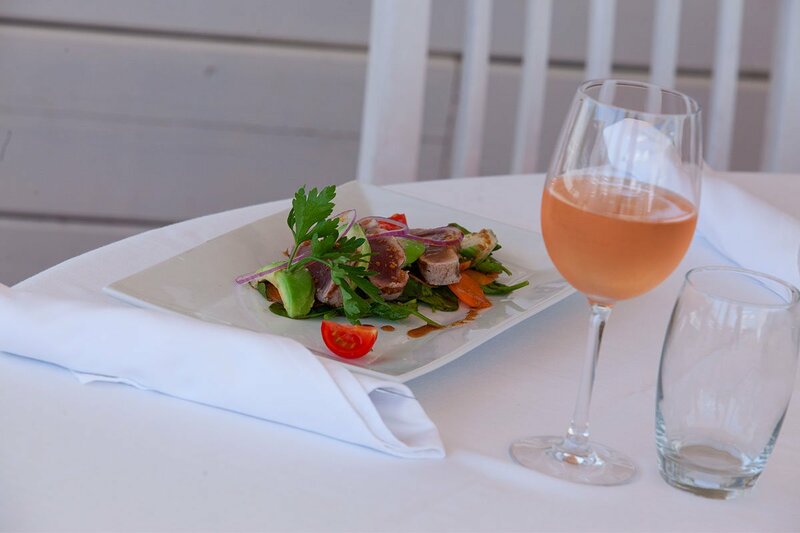 Our team will offer you fresh fruit cocktails at your sun lounger, where you can even sample the restaurant menu, the sand beneath your feet. Our boat shuttle is available to customers arriving by sea. 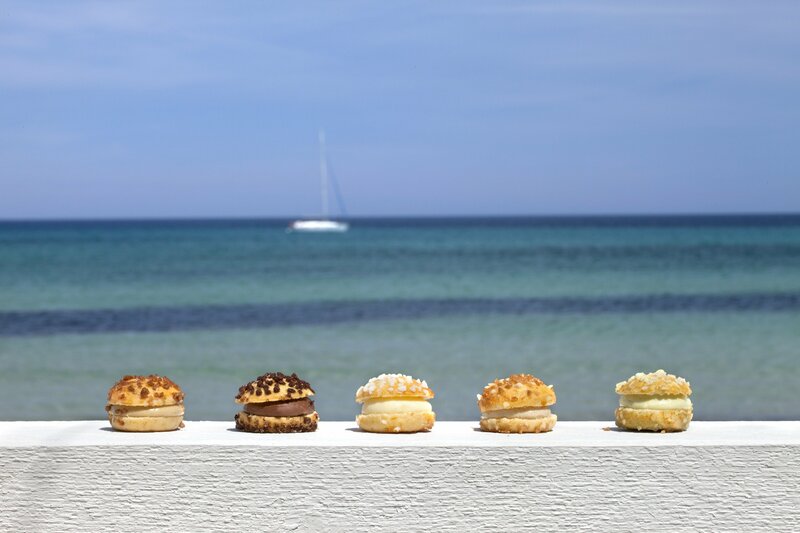 The beach is open from 10am until the sunset ! 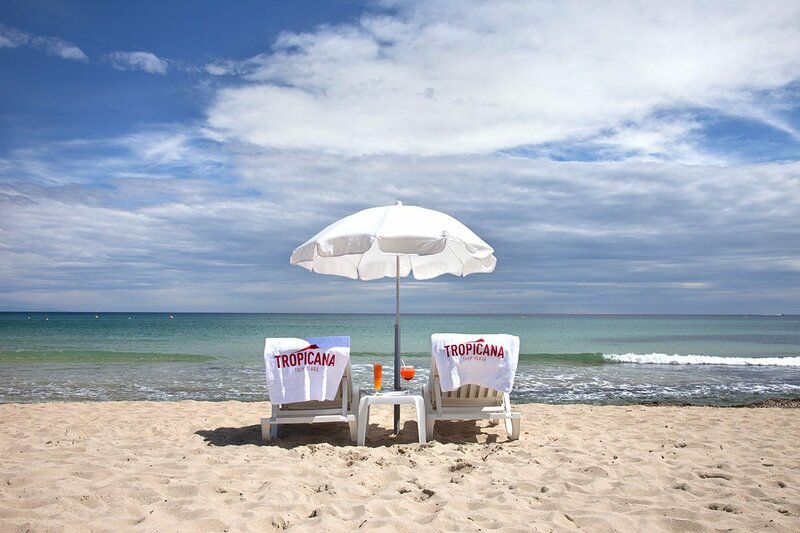 Please reserve your sun lounger (€18) and parasol (€5) by contacting our beach manager by telephone on 04 94 79 83 96. 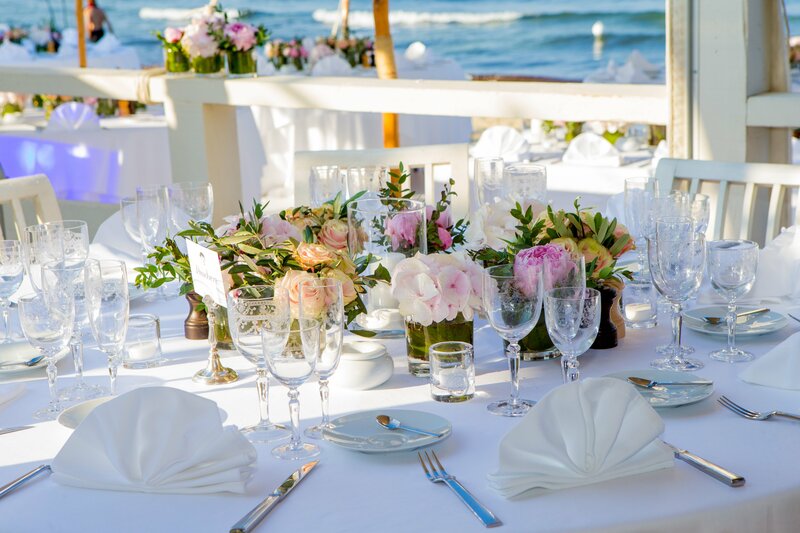 Tropicana Plage de Ramatuelle is to organise your event. 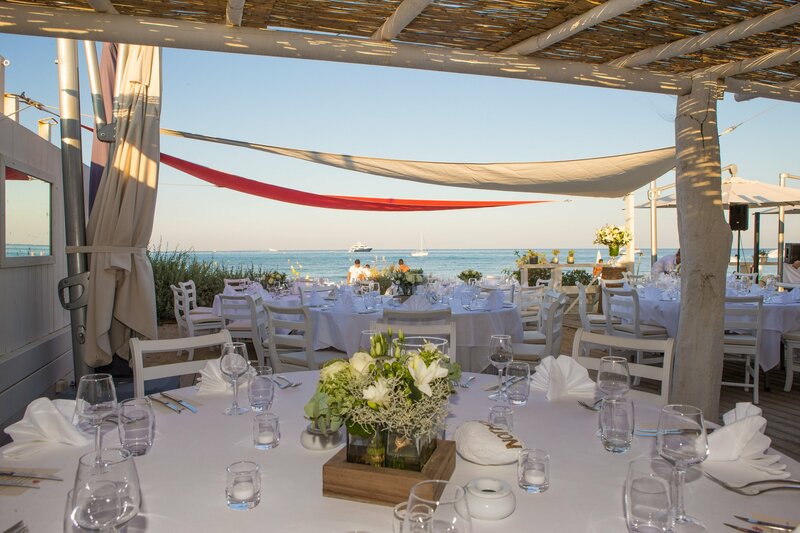 In an idyllic and friendly setting, we’ll make your event truly unforgettable. 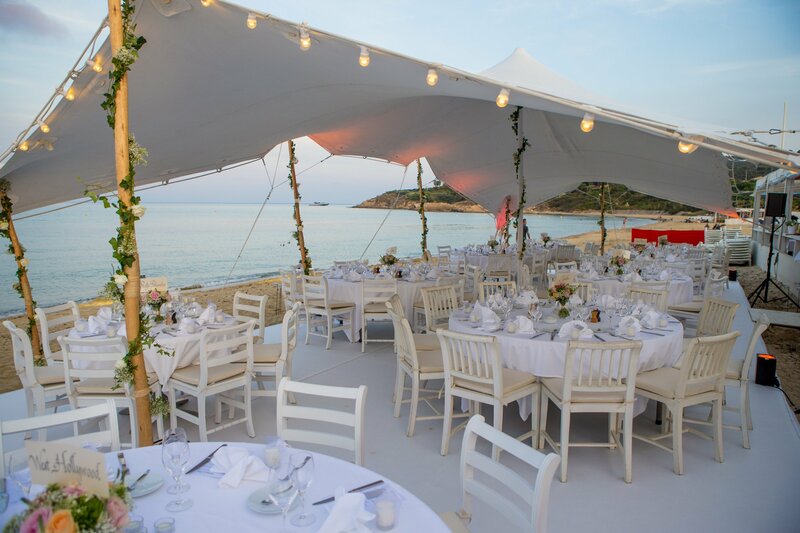 You can reserve your own space or even the entire beach-restaurant to celebrate your wedding, party, christening, birthday, corporate event, etc. 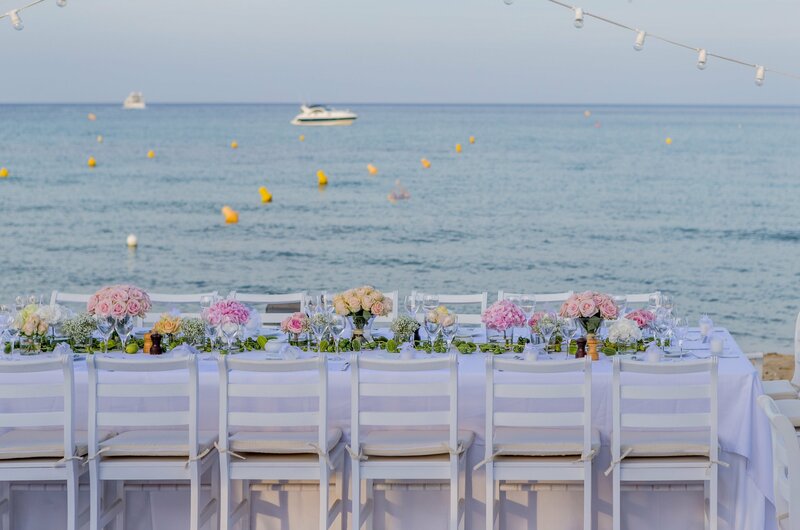 With the expertise of LA.TARTE.TROPÉZIENNE Group catering service, we offer “customised” packages to help you organise your event. LA TARTE TROPÉZIENNE 60th ANNIVERSARY. 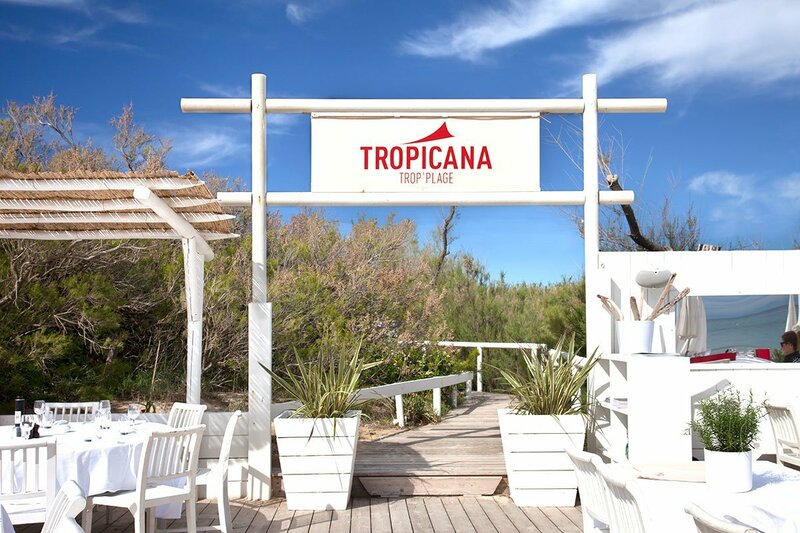 Tropicana Plage de Ramatuelle is the restaurant of LA.TARTE.TROPÉZIENNE’s, a pastry brand and well-known caterer in the bay. 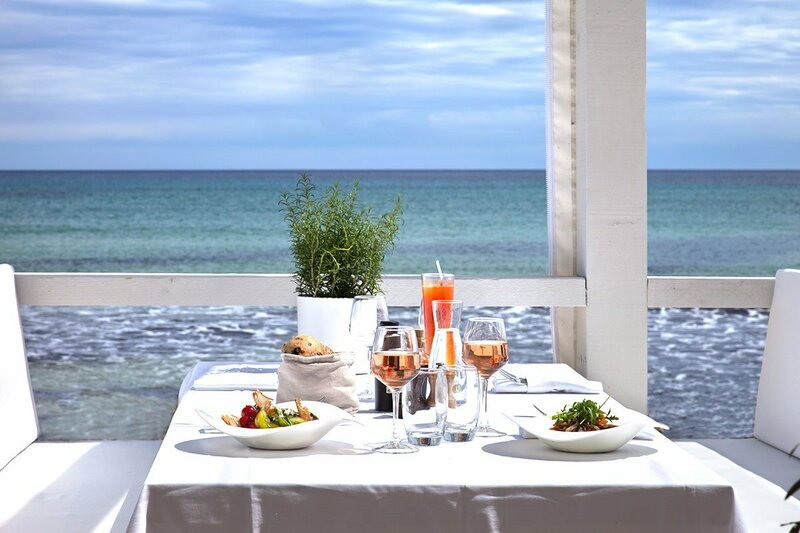 Taken over in 2006, the beach-restaurant reflects the Group’s expertise, especially in its demand for selecting only the best produce, a must for the LA.TARTE.TROPÉZIENNE management and Eric.Santalucia, Chef at Tropicana La Plage. 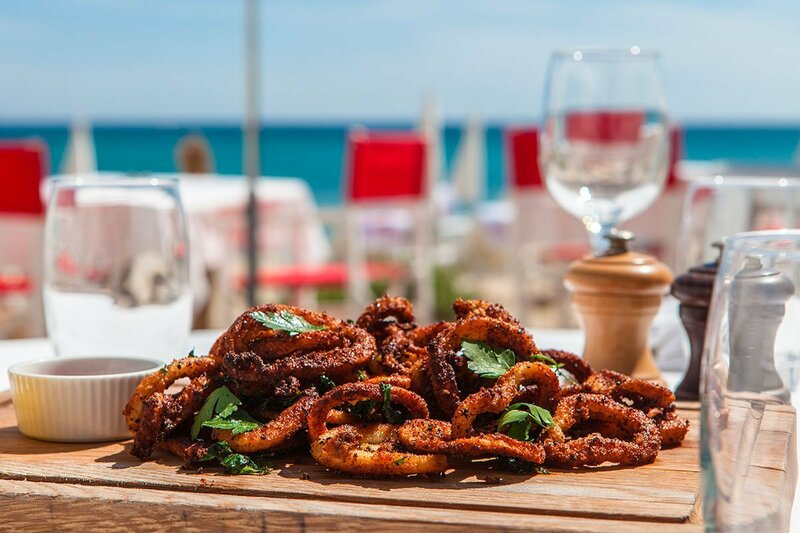 Tropicana Plage de Ramatuelle beach-restaurant reflects the spirit of LA.TARTE.TROPÉZIENNE where you find a friendly, tasteful, family atmosphere… pure and simple!